An unexpected drop in… do you know your golfers? Do you know who won the US Masters (golf) in 2012? This photo I took earlier today is a clue, and it’s not Devin Wenig on the left (President of Global Ebay Marketplaces). Want a not so subtle clue? Try reading here. Ok, lets get a blatant name drop in! 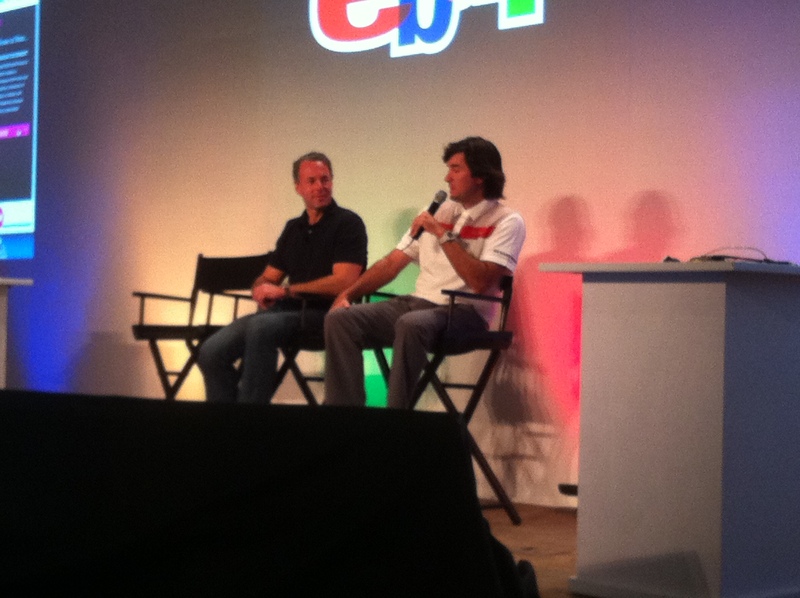 Bubba Watson dropped in on an eBay meeting Devin was hosting today that I was in. I believe the drop in was unplanned – I think Bubba was visiting eBay regarding eBay support for his charity work. Ebay has a celebrity page on Bubba and his charity cause (cancer research for children). Bubba has a personal tie to cancer research, so why not consider donating? Its a great cause. For me, its another great aspect of eBay. Ebay does a number of charity events, the auction of a lunch with Warren Buffett being one of the famous ones. Ebay is doing world leading work to make its new data centers green as well. (I picked out a few links – Google is your friend to find some better ones!) But I must admit it does raise my pride in eBay knowing it supports such ventures. And the topic immediately after the unexpected visit of an international celebrity? Planning processes!